On October the 20th, 2016, Nintendo finally raised the curtain to unveil its latest gaming console: The Nintendo Switch. Formerly known as the “Nintendo NX”, this new device was long rumored to be a hybrid gaming platform that would appeal to both home console users and gamers on-the-go, even though the exact format of the system was still somewhat of a mystery. However, it seems like the major leaks that happened in the months leading up to the announcement were all fairly correct, and this time around, Nintendo is setting its sights at both the “serious gamers” market as well as their well-established family and casual user demographic. 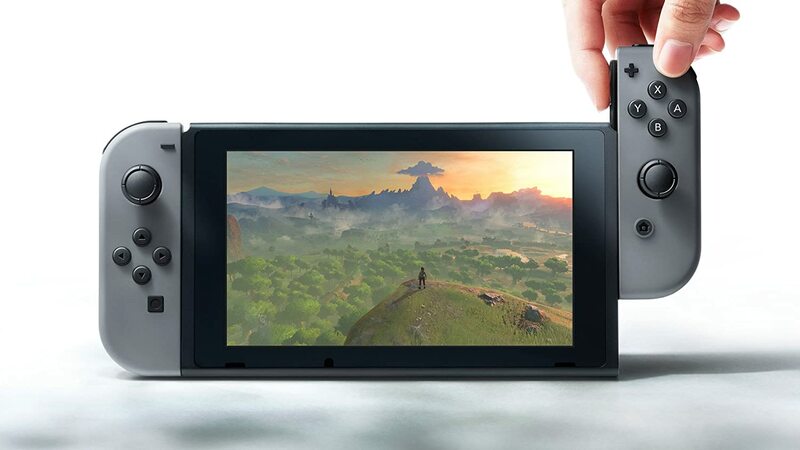 The big thing about the Switch is that it’s a tablet-based device powered with a “top performing” NVIDIA graphics card. The Switch comes with a docking station that allows it to plug into any TV or display of your choice. It also has a set of detachable controllers that can plug directly into the switch while gaming in a portable fashion, or alternatively, it can be used in one of several configurations as your main controller while playing at home. Heck, it even has a more standard form of controller that will appease gamers who are more familiar with the XBOX 360 / One and Dual Shock style of control. 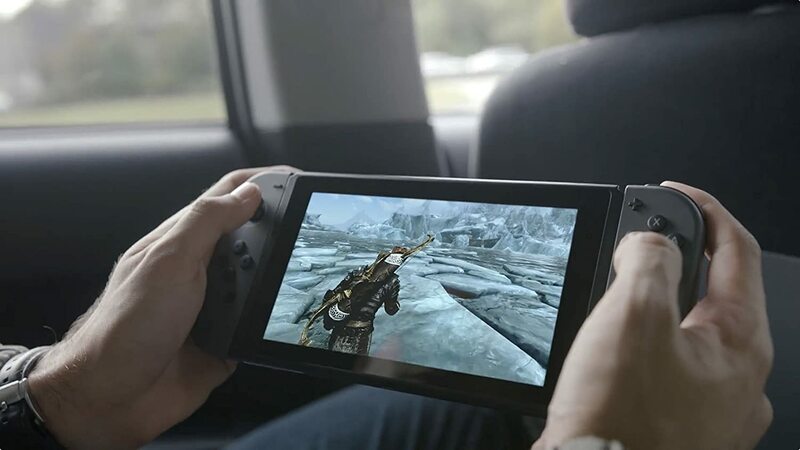 To further sweeten the deal, while you might assume a device that is portable would not be very powerful, it appears as if the system will easily handle top-tier games at 1080p at 60 frames-per-second, plus there are rumors that it may also be able to handle 4K gaming in some format as well. 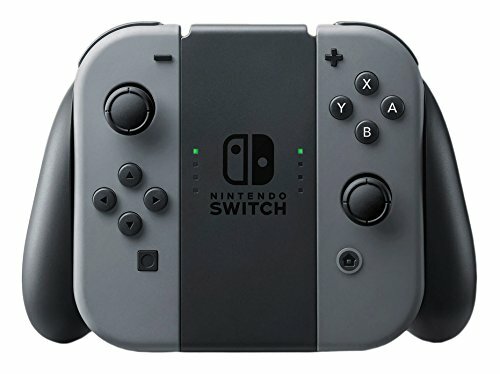 An interesting note about the console is that rather than using discs -- like the GameCube, Wii, and Wii U (and like most home systems still do today) -- the Switch instead will be using a form of proprietary game cartridge that can store a large amount of memory while being “nearly immediate” when it comes to their loading times. My guess is that they will be some form of an SD card (similar to what was used on the Nintendo DS and the 3DS), but those details are not fully available at this time. Some have said that the use of a cartridge reminded them of the Nintendo 64, and this statement reminded me of the fact that Nintendo has always been an innovative leader in the industry. In last month’s article, I talked about the fact that Nintendo and Sega had a huge rivalry throughout the 1990s, stating that most of this rivalry forced both companies to be very creative in their endeavors to one-up each other. In Sega’s case, while they did come up with some uniquely ahead-of-the-times consoles, they ultimately failed in their bid to control the home-gaming market, and Nintendo came out largely ahead despite being forced to shift its competition focus more towards Sony in the process. Nintendo wasn’t always successful in their innovations either: a quick look at the Virtual Boy will show how this idea of looking ahead actually didn’t pan out very well for the gaming giant. However, even the Virtual Boy, as clunky as it was, had its charm and it was really unique being able to play the likes of Mario Tennis, Mario Clash, and Wario Land in an immersive 3D environment. Of course, Nintendo has always had a major footing in the portable gaming industry, setting the standard with the original Game Boy and then the Game Boy Color, following up with the Game Boy Advance, and then moving on to the DS and 3DS. However, in its early stages, people gawked at and criticized the Nintendo DS, saying that the touch controls would be unnecessary and that having two screens to play on was just silly. Even with the 3DS people said that 3D was a gimmick and that it would only cause eyestrain and frustration, but both systems have done quite well and managed to help the system through difficult times (the portable market certainly helped make up for lackluster sales of the N64 and the GameCube, and this trend continued with the Wii U). Yet with that being said, for quite some time now people have claimed that Nintendo was more of a company geared towards casual gamers and families, using the Wii and its family-focused advertising as the core of this argument. Nintendo made some efforts to change this by seeking third-party support for the Wii U, but third-party support was rather slow due to the poor sales of the system and the fact that games had to be developed with the console’s very unique control structure in mind. Porting major games over to it was more difficult than many developers cared to mess with. However, the reveal trailer for the Nintendo Switch seemed to be geared towards adult gamers -- something that surprised quite a few folks. 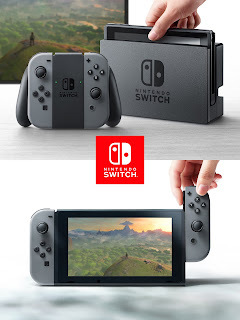 When you think about it, though, it makes sense: Nintendo knows that they already have the support of families and their die-hard fans, so rather than focusing the first advertising push on an already given market, they wanted to show that their new system is a powerful entry into the home and portable market that serious gamers should consider. This turn of focus will hopefully get Nintendo back on a very competitive edge in the major console industry. Whether or not Nintendo will vacate the dedicated portable market or not remains to be seen, but there are already rumors that the Nintendo 3DS will be slowly phased out in the year or so following the Nintendo Switch’s launch in March, 2017. If the console fully delivers on everything it says it will, though, this may not be a bad move and would give gamers the best of both worlds. I’ve always been a Nintendo fan, but I’m still a critic and enthusiast who tries my best to be as objective as I can be. Still, I am definitely intrigued by the Switch and think it’s going to be an excellent move for Nintendo after coming back from the relative failure of the Wii U. With major titles like The Legend of Zelda: Breath of the Wild coming to coincide with the launch of this new platform, I think we will be in for a real treat. As for all of those who are already negatively bashing the device with wild rumors and speculation, I will offer this advice: sit tight and see what fun things Nintendo has in store for us!